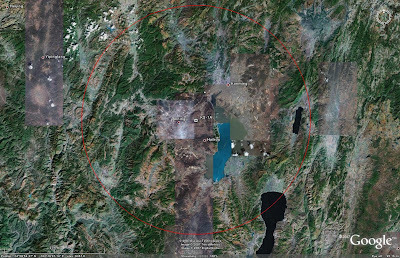 Southwest of Kunming, one can find the latest evidence of the ongoing modernization of the Chinese air defense network. With the large amount of effort underway to modernize the Chinese air defense network through the inclusion of long-range strategic SAM systems like the S-300PMU-1 and HQ-9, the appearance of a cheaper, short-range complement designed to replace the HQ-2 and supplement the long-range assets is a logical development. The KS-1A can serve as a close-in point defense system to complement the more advanced systems, as well as performing as a gap filler to preclude the need for additional, expensive strategic SAM systems. The KS-1A represents the current configuration of the KS-1 SAM system. The KS-1 was developed in the 1980's as a replacement for the HQ-2 GUIDELINE strategic SAM system. Due to reasons which have not been publicly disclosed at this time, the KS-1 did not enter Chinese military service when development was completed in 1994. A likely reason was the poor maneuvering capability of the missile. Open source reporting indicates that the weapon could only engage targets with a 5g maneuvering capability, making the KS-1 largely ineffective for defending against modern fighter aircraft. The improved KS-1A variant, which was publicly revealed at the Zhuhai Airshow in 2002, is the current variant of the system which has now been adopted for service. The KS-1A is a command guided weapon with a range of 50 kilometers, capable of intercepting targets at altitudes of up to 27,000 meters. The command guided weapon is controlled by an SJ-202 phased-array radar, which appears to be generally similar to the HT-233 radar used to guide the HQ-9 SAM system. The TEL vehicle can mount either a single or a dual launcher, and the design of the components (including the towed SJ-202 radar set) would seem to imply that the system is at least semi-mobile and capable of rapid relocation to improve system survivability. The KS-1A SAM system is deployed at a prepared site similar in layout to those constructed for the S-300P and HQ-9 SAM systems. A raised berm in the center of the site is present to mount the SJ-202 engagement radar. 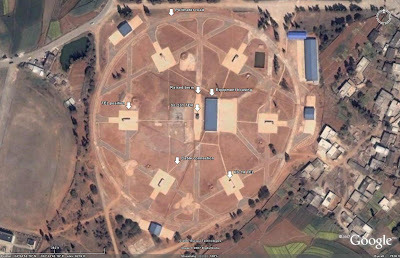 Surrounding that berm are six square pads, each containing a single TEL. There are various structures present, ostensibly to house support equipment, power generation vehicles, and command and control facilities. The visible components appear to be connected via cables, potentially providing the system with a measure of communications security. The KS-1A enjoys a 15 kilometer increase in effective range over the HQ-2, and as such represents an relatively significant improvement in air defense capability. The first operational KS-1A battery to be identified in open-source imagery indicates that the system has moved from development to deployment and is prepared to take its place among the other land-based air defense assets protecting the Chinese mainland. Coupled with the HQ-9, the KS-1A provides China with the ability to construct and deploy an entirely indigenous modern SAM network. I'm Jay and I just wanted to commend you for a splendid blog with unique and interesting information which can truly enhance the public's knowledge of strategy and tactics. Your site is a subtle gem and truly appreciated. In a different context but with similar admiration, please allow me to quote one of the last lines from Blade Runner: "You've done a man's job, sir." If you look 300 meters north-east, there seems to be an other radar. Probably a surveillance radar.